Our signature Frontier Festival brings you a new, fully immersive experience like no other! With rousing entertainment and activities, live music, specially-themed food and beverage options, this is a can’t-miss event at Cedar Point! 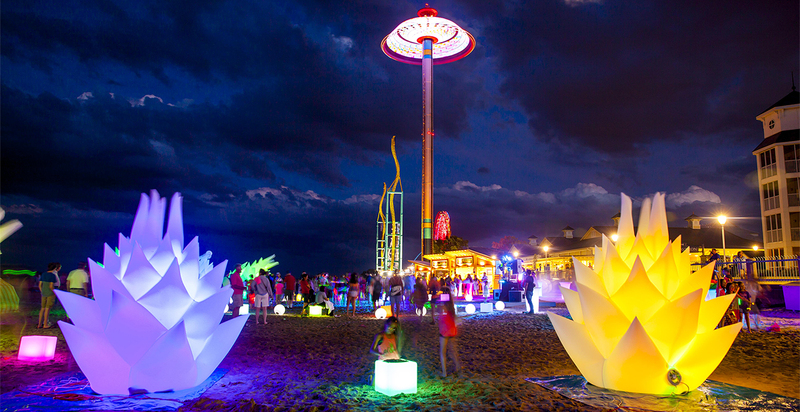 The ultimate beach party takes over during Cedar Point Nights featuring live music all-night long, a DJ to dance the night way, silent disco, relaxing fire pits, specialty food options and so much more. Head out to the famous Cedar Point Beach and Boardwalk to take in the sights & sounds of summer fun on Lake Erie. No matter when you visit, there’s something for the entire family. One day is definitely not enough to experience it all at Cedar Point!